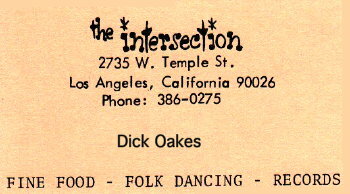 The Intersection, founded in 1964 on Alvarado Street in Los Angeles, was the premier folk dance coffeehouse in Southern California. 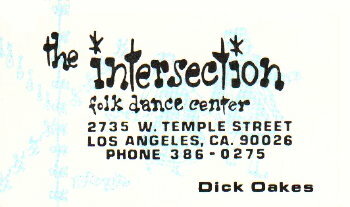 On August 27, 1967, The Intersection made a move to 2735 W. Temple Street. 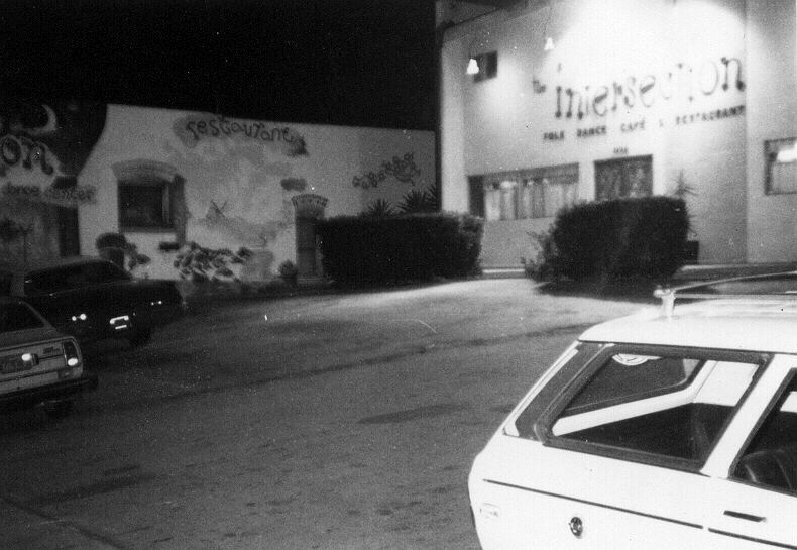 In its heyday, many celebrities came to dance there, including Marlon Brando, Bo Derek, Ginger Rogers, Telly Savalas, and Omar Sharif. The Intersection closed twenty years later with a huge, final New Year's Eve Party on December 31, 1984. The building was then called Helena's and run by Helena Kalianiotis. 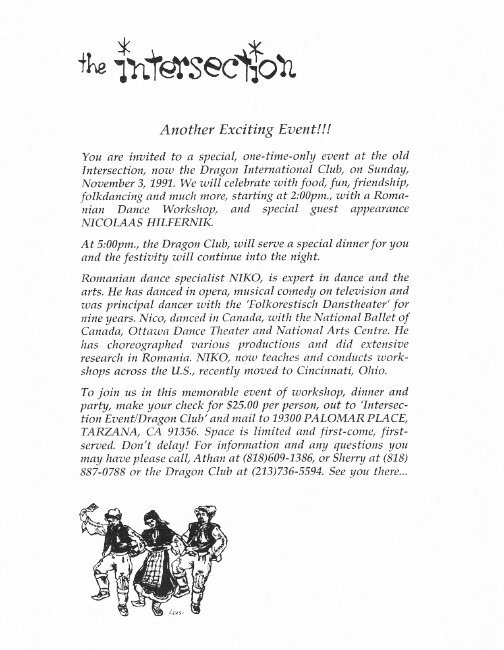 Later it became a Korean night club called the Dragon Club, then the Casablanca, and then the Viking. Paul's Intersection Photos From Paul Sheldon, Jr. I Remember By Paul Sheldon, Jr. Dancers' Comments Thoughts by those who were there. Member Welcome Letter Alvarado St. Member Welcome Letter Temple St.
Reunions When's the next one?